While most of us know Freddie Mercury as the iconic frontman of Queen who had an incredible voice, you may not he struggled with misaligned teeth. Mercury had a famously unusual overbite and distinct front teeth as a result of a malocclusion, or a bite alignment issue. Read on to learn more about Freddie Mercury’s teeth! 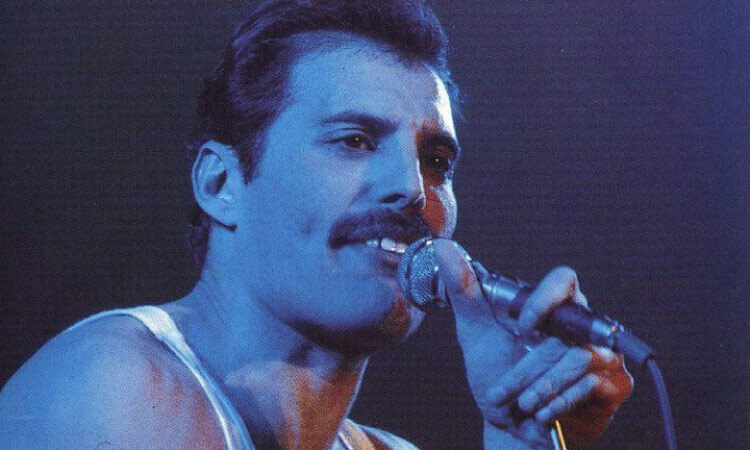 Freddie Mercury likely had a hereditary dental condition that left him with four extra teeth in his mouth. This crowded the rest of his teeth and resulted in his front teeth being pushed forward. Freddie Mercury knew that there was treatment for his alignment issue, and he certainly could have afforded to fix his bite. However, he refused to undergo any treatment for his condition. Though his teeth caused him embarrassment, Mercury believed that his unorthodox bite and teeth were responsible for his incredible range and he did not want to change them in case his voice was negatively affected. Instead, he often covered his mouth with his hand and even grew a mustache to draw attention away from his teeth. If you have misaligned teeth, consult with us here at Smiles Dental! We offer traditional metal braces, clear aligners, and other options that can give you a straighter smile. Not only will a straighter smile look beautiful and boost your confidence, it can also make it easier for you to talk, chew, and keep your teeth clean and healthy. To learn if one of our orthodontic options can give you the smile you’ve always dreamed about, schedule a consultation with us today. We will review your dental history, talk about your goals for your smile, and determine which orthodontic system is the best fit for your situation. We look forward to hearing from you!